Beautiful 1 Ounce American Eagle silver coins. 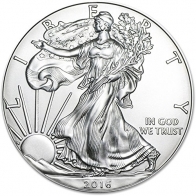 All American Eagle silver coins are 999 fine investment grade silver bullion. 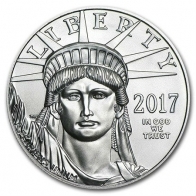 The coin features the image of lady liberty on one side, with an image of two eagles on the reverse. Written on the reverse of the coin is the weight, fineness and face value of the coin. The face value of the 1 Ounce silver Eagle is $1 USD. The American Eagle is produced by the US Mint. 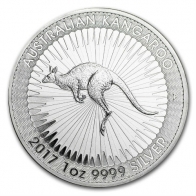 The Eagle is a popular option for investors in silver since their initial release. The American Eagle is available in gold, silver, platinum and palladium. The US mint also releases the American Buffalo coin in gold. 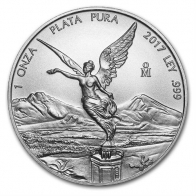 Silver Eagles are currently only available in 1 Ounce size, however individuals wishing to purchase a larger quantity of the coins can purchase monster boxes of 500 pieces. SwissBullion.ch sell the 1 Ounce American Eagle silver coin for VAT-free Swiss storage or delivery.